why is there a B letter on his base cap ? bicycle parking assistent ? Don't worry... he'll pick it shortly! In Soviet Russia, we repeat the same thing over and over! Screw the backpack leashes for your kids. 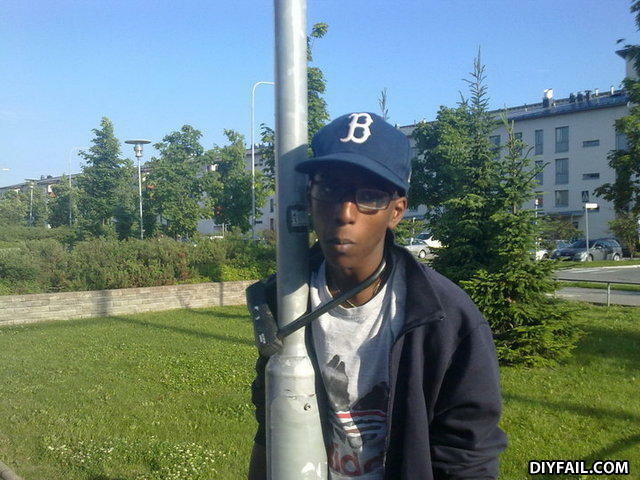 Just u-lock them to the pole.